Marketing U® customizes workshops and corporate/team retreats and meetings tailored to the respective needs of corporations, non-profits, and senior teams. Marketing U offers . . .
A variety of formats to suit your needs. Professionals, corporations, CEOs, and senior executives use Marketing U to help jumpstart their processes for creating shared visions, strategic business plans, sales strategies, and to enhance the communication and leadership skills of their teams. Working with Marketing U ignites ideas, induces productive conversation, and inspires action. 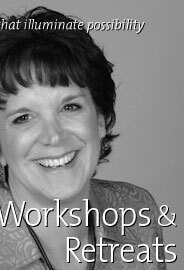 Read what others say about working with Debra as a speaker and professional meeting facilitator. Debra Valle is affiliated with the National Speakers Association through its Los Angeles, California Chapter. Venues and organizations where Debra Valle has conducted workshops or presented programs.